Jason Schultz Offers Guests A Pocket Sized Time Machine! Jason Schultz and Kevin Yee have completed work on a masterful new Disneyland book - and you're going to want to get a copy. 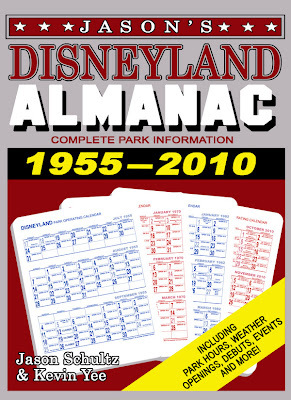 The cover above says it all, but click on over to Jason's fine blog (Disneyland Nomenclature) for a full demonstration of its unbelievable content. Incredible stuff - and a 'must have' for your collection!